1 pound of ground Italian sausage. 5 assorted bell peppers. I went with 2 green, 2 red, 1 yellow. 1/2 head of cauliflower, grated or chopped into a “rice” consistency. 1 small (8 ounce) can of tomato paste. 1 small white onion, medium dice. 1/2 head of garlic, minced. 1 small handfull of fresh basil, minced (or 2 tsp. dried). 1. Cut the tops off of your peppers and scoop out and discard the seed, yet do save the tops! 2. Process or chop about half a head of cauliflower into “rice” and put in a large mixing bowl. 3. Add your minced garlic, basil, and dried herbs, and onion to your cauliflower and mix by hand. 4. Use a very hot skillet to lightly brown your sausage. This step is entirely optional based on your motivational level. The sausage will cook just fine in your slow cooker, yet I personally like to hit it with a little sear to take the flavor up a notch. 5. Add your sausage and can of tomato paste to your bowl of seasoned cauliflower and mix by hand. Let the kids do this part, getting hands messy in necessary, a spoon just won’t cut it. 6. Fit as much of your sausage mixture into your peppers as you can. 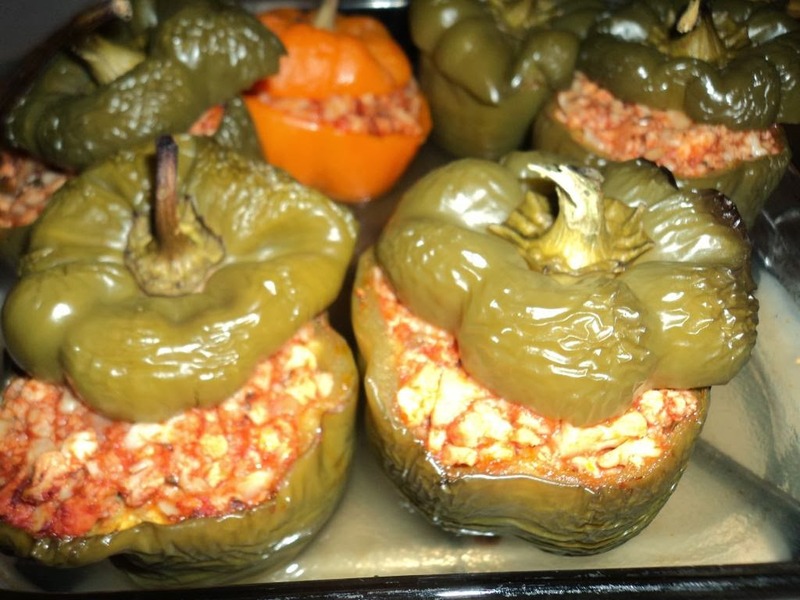 Place your peppers into your slow cooker and loosely place the pepper tops back on. If you have extra meat and cauliflower mixture, just jam in between your peppers and let it cook. 7. Pre heat oven to 350, add a little water to bottom of baking pan, cover top of pan with foil bake at for 1 1/2 hours. Or you can Cook on low for 6 hours in crock pot. 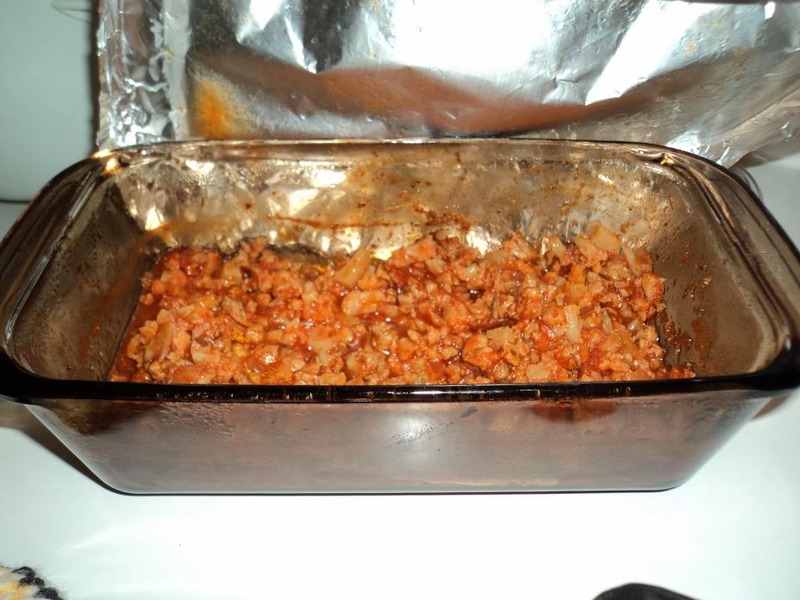 **I had some extra mixture left after stuffing all the peppers, I just dumped it in a separate baking dish, covered with foil and baked it along side the pan of peppers. It came out really great to use as a side dish another day or can even pour the mixture over pasta for another meal!